Our e-commerce subscriptions packaging service is dedicated to our clients and their success. If for any reason you have any questions or comments about our e-commerce subscriptions packaging service, feel free to give us a call at 630-323-1354 or fill out the form to the right and a representative will respond shortly. Packaging Design can create designs that represent your brand and enhance the company-customer relationship, so you can impress customers from anywhere in the world. When you work with our team, you will receive an open, honest, and high-quality business relationship. The right e-commerce subscriptions packaging can say a lot about your brand and can communicate your message or mission statement. 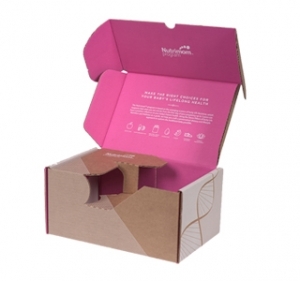 Our e-commerce subscriptions packaging will represent your brand’s identity and proudly display your product so that there are no unexpected surprises when your customer opens the box. We want your consumers to receive the full customer experience when they receive your product. Having great e-commerce subscriptions packaging will help keep that connection with the customer and creating a better overall experience. Our e-commerce subscriptions packaging is very reasonably priced compared to our competitors and will give your customers a sense of excitement when a package with your name on it arrives. Our company has more than half a century of experience in package design and branding, your customers will surely be impressed and will want to continue doing business for years to come. If for any reason you have any questions or comments about e-commerce subscriptions packaging, feel free to fill out the form to the right and an associate will respond shortly or give us a call at 630-323-1354.